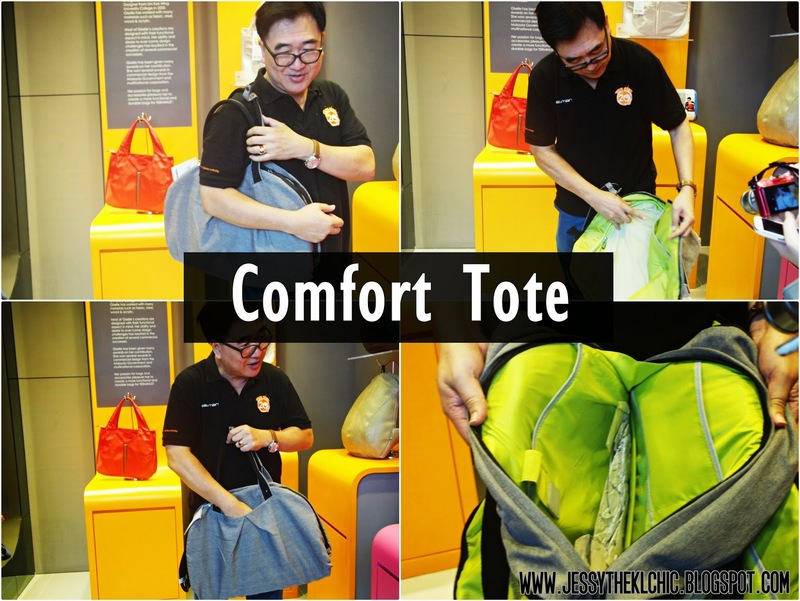 Buying a bag can be difficult at times, especially when we have important and heavy items to carry around. I remember spending weeks to hunt down for the perfect laptop bag when I was still studying C.I.M.P. (Pre-University). In the end, after using the bag for a few months, I stop using it because it wasn't a practical bag but more for the outer design of the bag. Terminus, a local brand, which I wish I was around when I was hunting for my laptop bag during college days, is like no ordinary brand like I have ever seen. Their bags are diverse and uniquely design to suit all walks of people from professional to even outdoor sport active individuals. I immediately fell in love with this bright turquoise colour cute bag in the store! Besides bags, they also got out of this world case design for your laptop/tablet! Terminus, located at the same floor as F.O.S and opposite of SUSHI Q, lighted up brightly and surrounded with vibrant colourful was definitely an eye catching store. Especially with the name Terminus, kinda felt like it was a very sci-fi cool mysterious name. haha. Once stepping in, the bags in the store will catch your attention, and not long, you would be mesmerize with the amazing features that are found from the bags. This ought to be one of the coolest bags I have ever seen. 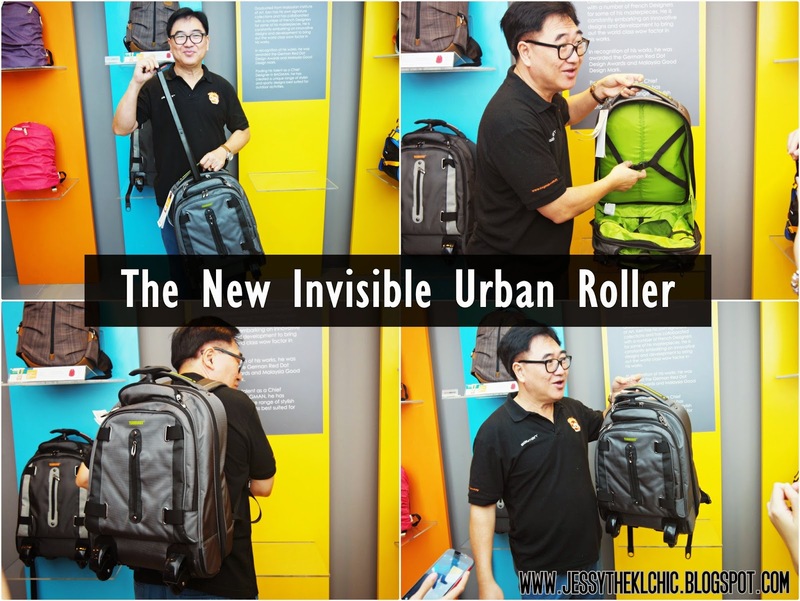 Aside from being a bag pack, you can also turn this into a trolley bag. When you want it to be a full time bag pack, you can hide the handler and the wheels too! A reminder that this ain't a foreign brand but our local brand! Besides that, the compartment in the bag is so big, you can actually pack 3 days worth of clothes in it, along with your laptop and other stuff! Next up, one of my favourite type of bag during college days, backpacks! I forgotten the name of this bag, but it's currently one of the new arrivals in the store. I love how sturdy the bag is and how it sort of look like a bag loaded with gadgets, the kind you see on movies. lol. 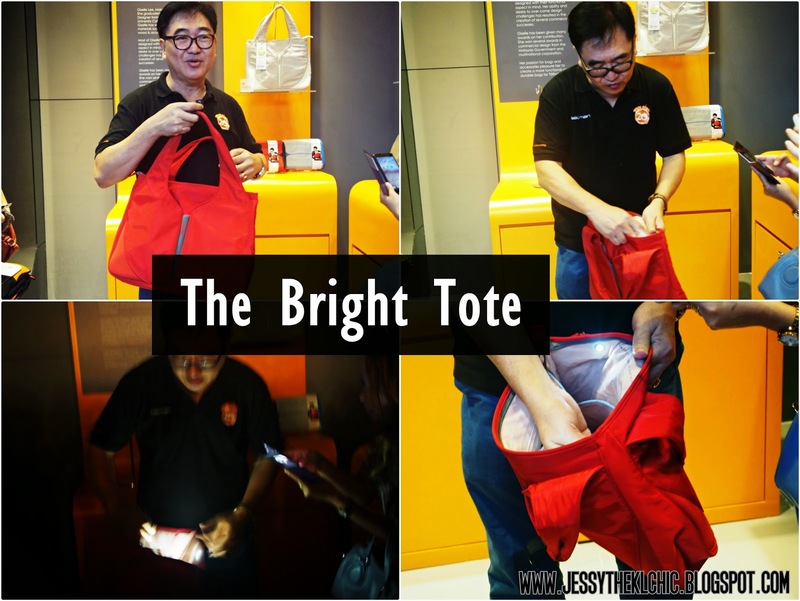 The bag of the future, The Bright Tote. Why do I say so? THIS BAG HAS LED LIGHTS IN IT. No more having the need to take everything out of your bag when you can't find your car keys or using your phone as light to search for stuff when you are at somewhere dark. Just make sure not to open this bag in the cinema, hehe. Next item would catch the eyes of all students and travelers! 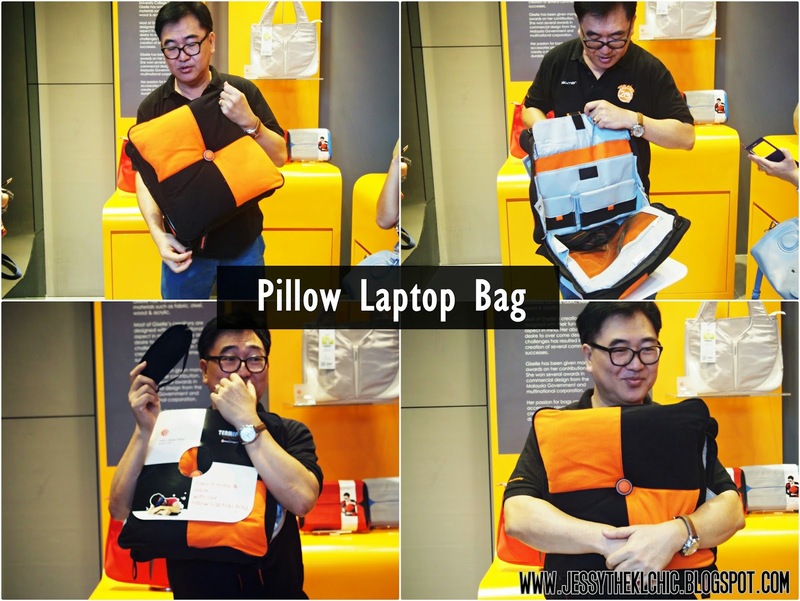 I couldn't believe my eyes when I saw the Pillow Laptop Bag! The designer of this bag should be given a cookie or two. haha. It was one of the most comfortable pillow I have ever held. 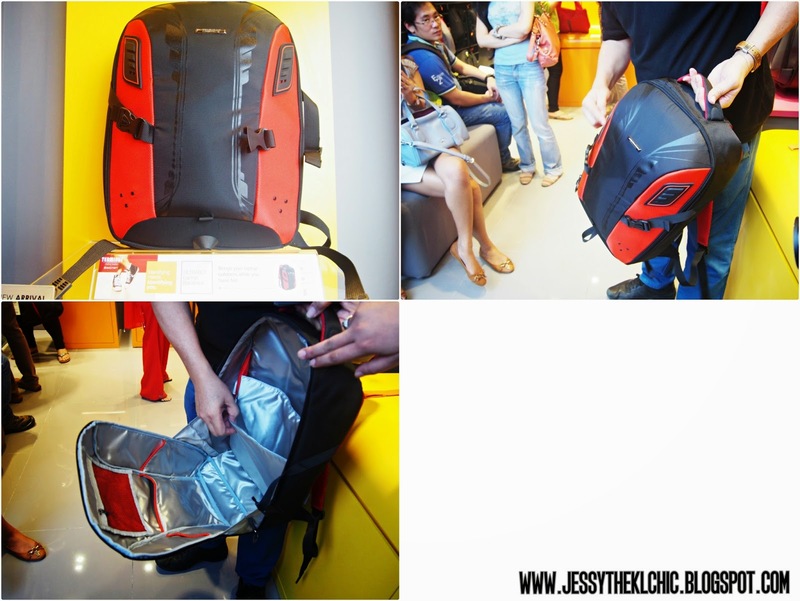 And the compartments inside is perfect to fit all of my gadgets and even my chargers! It's so handy, especially if it's during study break week. Perfect for an emergency power nap before cramping more subjects and chapters in our head. Besides students, those on a long flight would definitely benefit with this. Besides holding your laptop, you can use it to catch some sleep on the plane! This pillow bag comes with a long strap and a sleeping mask! 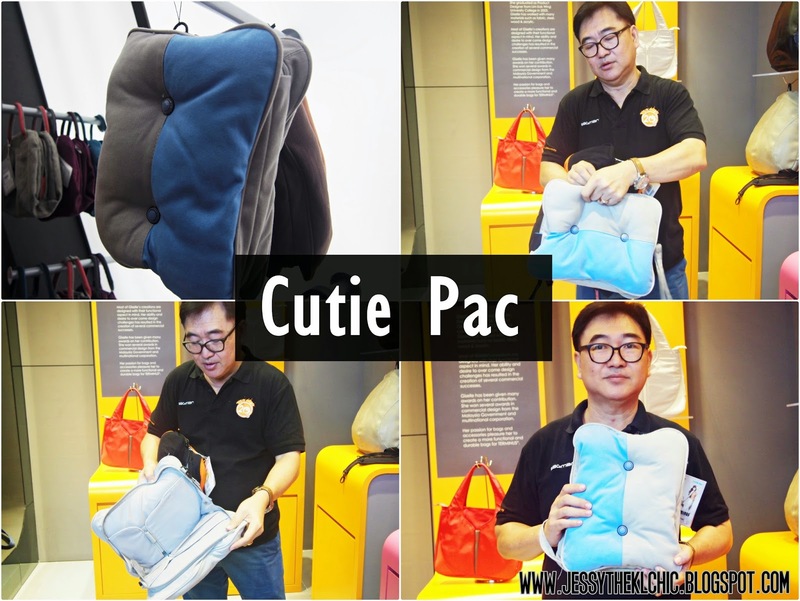 So earlier, we saw the pillow that can hold a laptop, for this cute size pillow, is spacious and recommended to put your tablets/books. This comes with a short strap. Terminus have tones of offers in their store! Do make sure to pay a visit at their 1 UTAMA outlet. 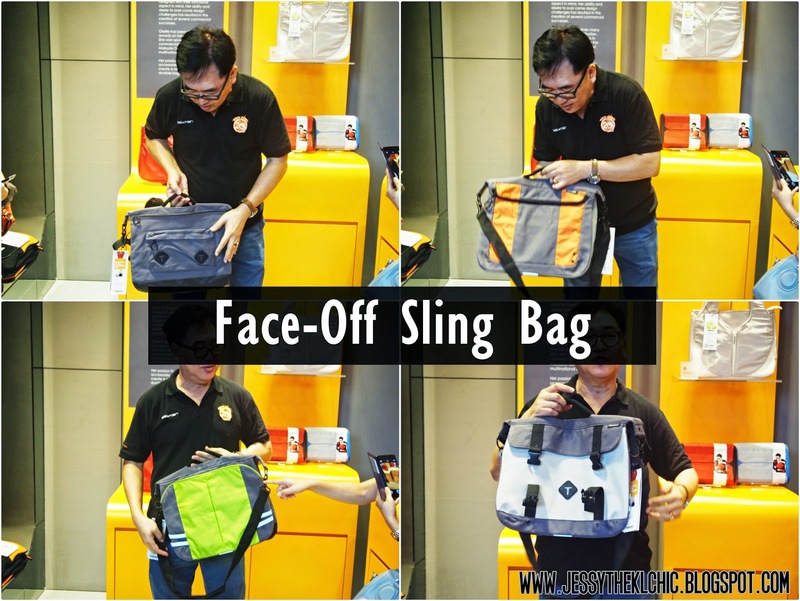 So, after seeing some of their products, which is your favourite bag? :D Comment and let me know, I would love to hear from you all! I can't wait to start using my bag and I hope you all manage to find your perfect bag with Terminus!